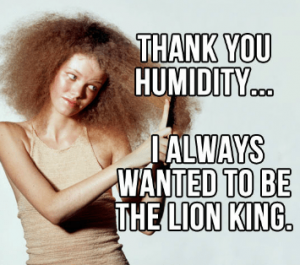 One of the comments I will make about living in a place with warm temperatures, is that it’s not the heat that gets to you, it’s the humidity. When we lived in Dubai, the searing summer desert heat was bearable compared to the humidity. When you walked out of a building your sunglasses instantly steamed up and a 2-minute walk anywhere would have your clothes drenched. So moving to another warm climate was not going to be a problem. Or so I thought. The humidity here, in Barbdaos is more damp if that makes any sense. The first thing to be affected was my hair. I have fine, European hair which will blow dry straight and shiny back in the UK. 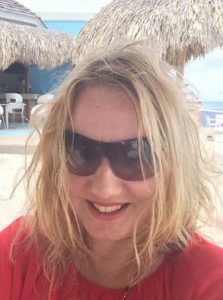 Within minutes of arriving, my hair had gone into full frizz and I discovered a natural waviness to my tresses I had never known. I now only see straight hair when I return to Europe. The rest of the time it looks “beach ready”. Or rolled back from the beach. On the upside, coconut oil is great for trying to control the frizz factor and is plentiful in supply here. Books need to be kept in a container as the humidity will destroy the glue holding the pages together. My beloved cookery books are now a collection of loose leaf papers. A Kindle is essential for book collections! Make sure any essential paperwork is stored correctly too. Spices and dried herbs will also succumb to the humidity with my bottles of spices now being kept within a plastic container as a double protection. I am still bemused at my decision to bring over my salt pigs. They did not last a week! What was I thinking! Plus, the husband did not like the idea of any bugs crawling over the open salt. He had visions of them tap dancing amongst my fancy salt whilst we were sleeping. For me, the worst aspect of the humidity is how it affects my handbags and shoes. The damp will destroy any glue to the shoes, and my handbags have a constant fight with mould. Again, you need another container within a container to store your precious shoes and bags. Then again, my shoes are just gathering dust as I rarely wear heels now. It’s sandals or flip flops. On the plus side, my skin is soft and the ravages of time have temporarily been put on hold. My skin has looked the best it has for a few years. Probably due the constant perspiration aka “glow”. If I stepped back on UK soil during winter I would probably age overnight once I dried out!